Hi, I’m Holly Strand of the Quinney College of Natural Resources at Utah State University. 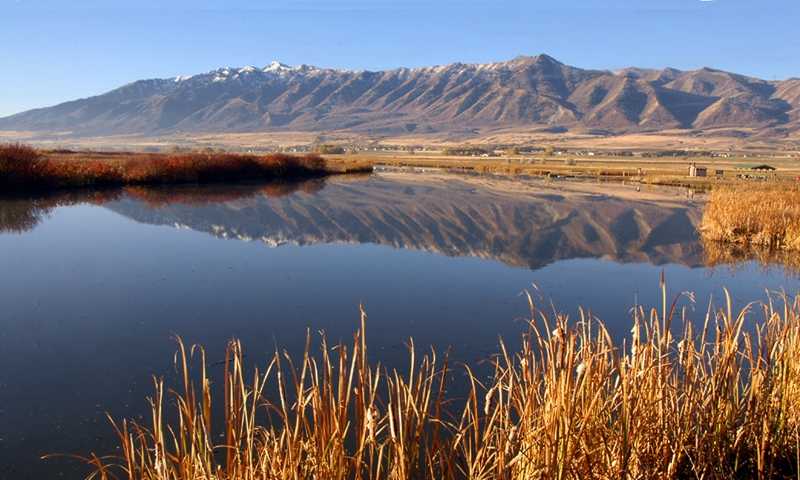 In each of Utah’s six corners you’ll find one or more remarkable natural features. Moreover, each corner represents a totally different geographic environment. No doubt you are familiar with turquoise blue Bear Lake in the upper northeast and the magnificent High Uintas near the angle formed by Wyoming. Flaming Gorge and Dinosaur National Monument flank the lower northeast corner. The ancient ruins and Monument Valley draw international visitors to the southeast corner. 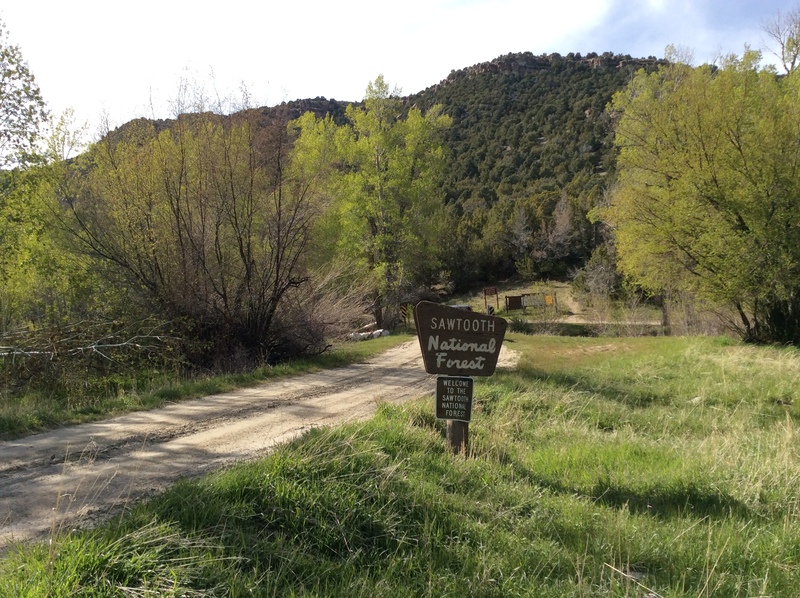 The numerous canyon parks in Utah’s southwest corner offer endless opportunities for exploration. That’s five corners. But what do you know about the northwest corner of our state? I live in Northern Utah and I had never been there. Resolved to correct this omission I consulted a map as well as Joan Hammer of Box Elder County’s Office of Tourism. I concluded that the Raft River Mountains were worth checking out. The highest point in the County, Bull Mountain is here. 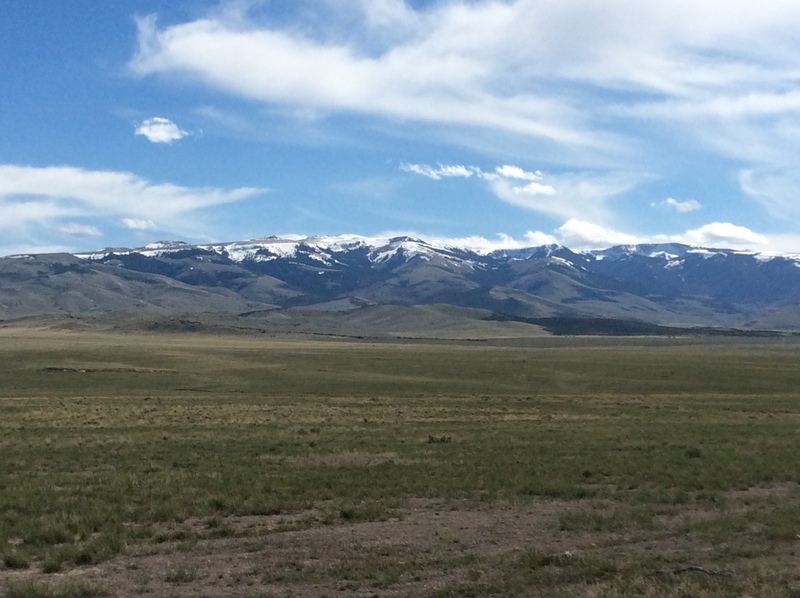 And the 40 mile long range defines the southernmost section of Sawtooth National Forest. The Raft River Mountains are unusual in that they run east-west. The normal pattern for Basin and Range country is north-south. The east-west orientation creates an important geographic dividing line. 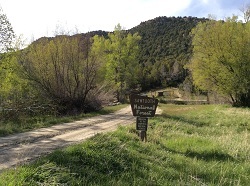 For Clear Creek drains the northern slopes of the Raft River Mountains. Then Clear Creek joins the Raft River which flows north to the Snake River. 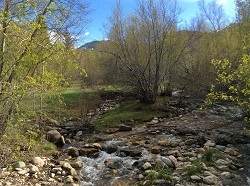 Thus the mountains form the sole—and very small—piece of Utah real estate that belongs to the great Colombia River Basin. 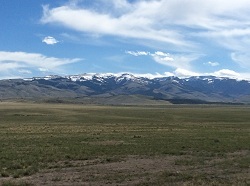 The southern slopes are part of Great Basin. Rain or snow falling on this side is absorbed into the ground or evaporates. Another interesting fact: The Raft River Mountains is where you can view some of the oldest rock in Utah. In this region, outcrops of Precambrian material are 2.5 billion years old. The largest and thickest exposures are in the eastern half of the range. The Raft River Mountain peaks may not make it onto post cards. But when I saw them they were nothing less than beautiful. The lower slopes of sagebrush had the grayish-green tint that emerges all too briefly in the spring. Snow still gleamed on the 8-9000 foot summits. Clear Creek was running full through riparian forest that was just starting to leaf out. There were no people at the campground but wildlife was plentiful. I saw wild turkey, deer, jackrabbits and squirrels. A few pronghorn looked up as I drove out through the sagebrush. All in all, I found Utah’s sixth corner to be well worth a visit. 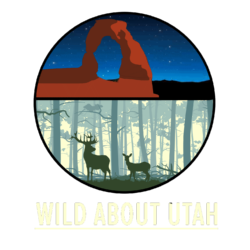 For Wild About Utah, and the Quinney College of Natural Resources, I’m Holly Strand. Doelling, Hellmut H. Geology and Mineral Resources of Box Elder County. Utah Geological and Mineral Survey. 1980. Bulletin 115. Next PostNext Wetlands-What’s in a name?